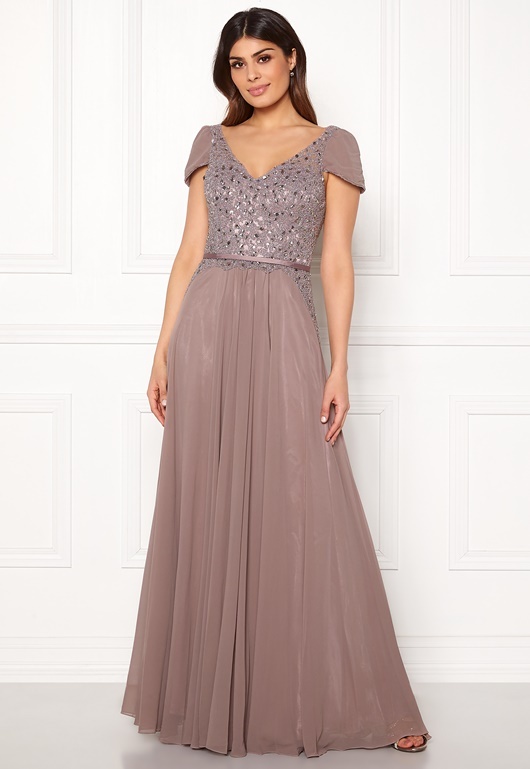 Beautiful prom dress with rhinestones and pearls from SUSANNA RIVIERI. - Lined - Rhinestone details - Short sleeves - V-neck - Ribbon at waist (non-detachable) - Padded cups (non-removable) Back length from shoulder approx. 159 cm in size 36. The model is 178 cm tall and wears a size 36. Dry clean only.